Tooth discoloration is one of the hot topics on the market right now and it is something those who smoke and or drink coffee have always dealt with. The nice thing about a modern era of products and technology though is that we now have lines of toothpaste that are specifically geared towards helping with this problem. Any toothpaste when used properly is going to help keep the staining from getting worse but if you already have discoloration due to smoking or coffee drinking a whitening toothpaste is going to be the way to go. While just about every brand on the market today has a whitening formulation that will work there are a few out there that are geared specifically to coffee drinkers and smokers. Plus white for coffee drinkers is one of them and the easiest to find. The active ingredient is Sodium Monofluorophosphate this is found in most toothpastes and it is only the concentrations or additives that make it different from one to the other and from whitening to none whitening toothpastes. 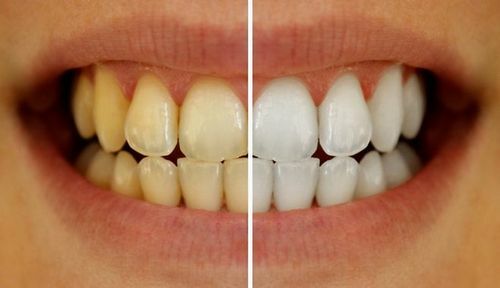 If you have a really bad discoloration issue you might want to talk to your dentist about products they may have to recommend and consider upping how often you have your teeth cleaned. Teeth whitening toothpastes will work for your discoloration in general and are just as safe to use on your teeth as any other toothpaste. No matter what you decide to use for toothpaste or whitening in general make sure you do the research on it and only buy from reputable sources with something that goes in your mouth several times daily you do not want to take any risks of using an expired or dangerous product no matter how good it says it works. Then also remember regular brushing and flossing will always be the best line of defense for your teeth.